A short length puts in long hours. Safe for industrial laundering, poly/cotton blend twill stays strong shift after shift. 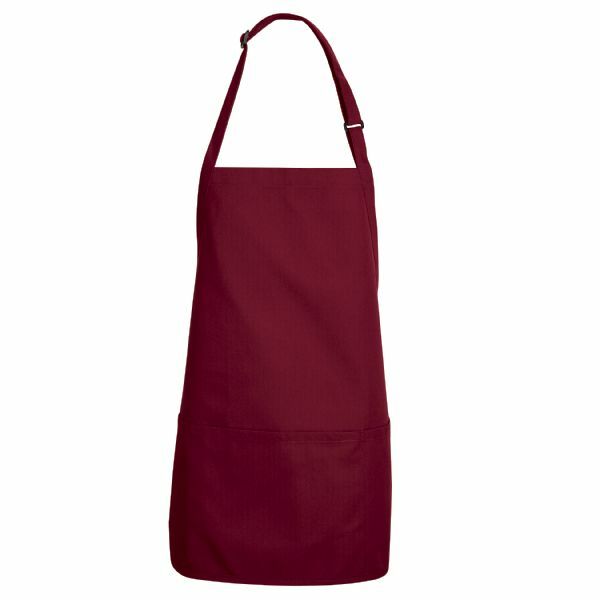 With a plastic buckle adjustable neck strap and a three-section pocket for the ultimate in organization, this apron’s got you covered – in every way. Pocket: Three-section pocket. Left and right pocket sections 9" wide. Center pocket section 10" wide.